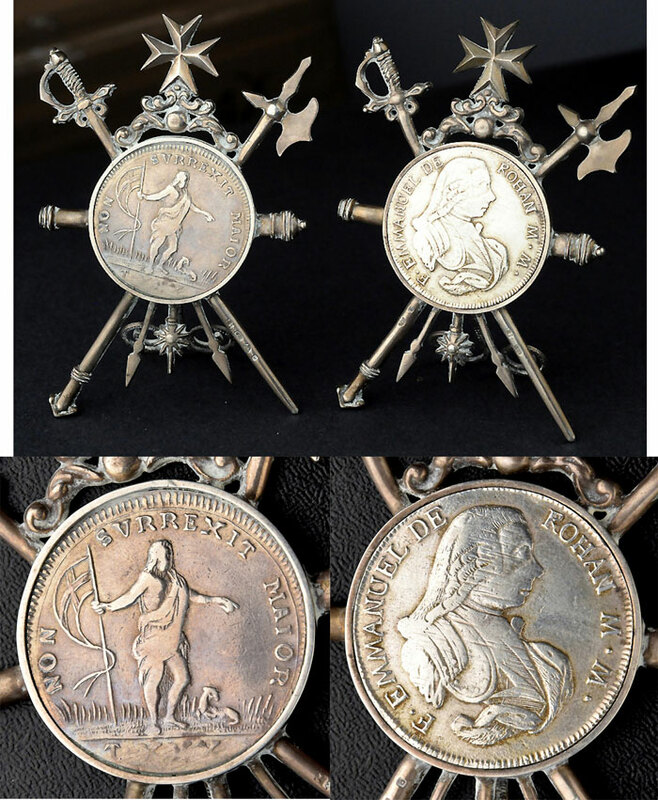 Malta, Knights of Malta, pair of silver stands, with military motifs and large central, 18th century Order of Malta coins. Each stand is hallmarked for Malta, .800 silver with the maker's mark : "ZE" in a rectangle. Total weights are 68.2 & 69.5 gr. Measurements : approx. 10.5 x 7 cm. Each piece contains a central Order of Malta 30 Tari silver coin, one dated 1757, the other 1781.